Officials say that nine people participating in a sightseeing excursion were killed when their plane crashed in a remote area near Anchorage Thursday afternoon. According to local news reports, a group of eight cruise ship passengers traveling aboard Holland America’s Westerdam ship purchased tickets for an excursion operated by Promech Air, a small airline based in Ketchikan, Alaska. 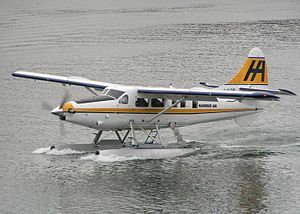 The passengers were riding in a DeHavilland DHC-3 Otter turboprop plane when it inexplicably crashed in a rugged, remote area near Anchorage. Investigators say they are unsure why the plane went down, or what may have possibly contributed to the fatal crash. Inclement weather prevented rescue crews from recovery efforts, and officials expected to be able to retrieve the aircraft and the victims on Friday. The victims were passengers on a seven-day cruise from Seattle to Alaska, and had purchased the excursion through Holland America Line, a Seattle-based cruise line. Needless to say, the NTSB’s investigation into this incident will be pertinent to determining any possible contributing factors to the crash. The results of that investigation, which could take several months, will also help clarify whether this was simply a tragic and unavoidable accident, or if there was something that could have been done to prevent the crash. When was the aircraft last maintained and what was the condition of the aircraft when that maintenance was performed? Did the pilot have adequate flying experience to safely operate the aircraft and did he have any history of safety violations or accidents? Does the model of aircraft involved in the accident have a history of any malfunction or other safety hazards that could present a danger to innocent passengers? These are just some of the potential signs of negligence that should be thoroughly investigated as quickly as possible, in order to avoid the loss of any evidence. Any potential witnesses to the crash should also be contacted and questioned to gain more information about possible contributing factors.